The classic car insurance sector provides specialised limited mileage, agreed value cover. Fortunately a number of specialist brokers offer cover for MGs at competitive rates. For a limited mileage and agreed value set of quotes you need to compare four aspects: the scope of cover, the policy conditions like claims and windscreen excess amounts, additional features, and the premium payable. 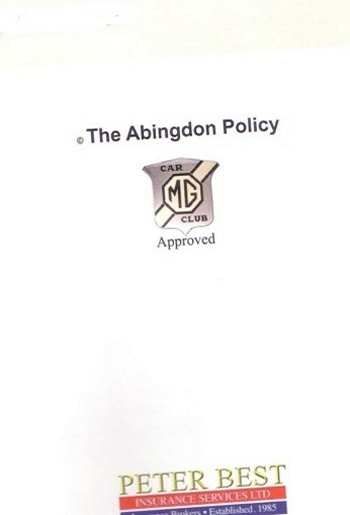 Some brokers' policies require an original immobiliser on an MG to be replaced by a newer "Thatcham" rated unit. Do not put up with that expensive nonsense, choose a policy that accepts the original factory fitted unit. The policies offered by Peter Best Insurance Services and other leading classic car insurance brokers can help you.